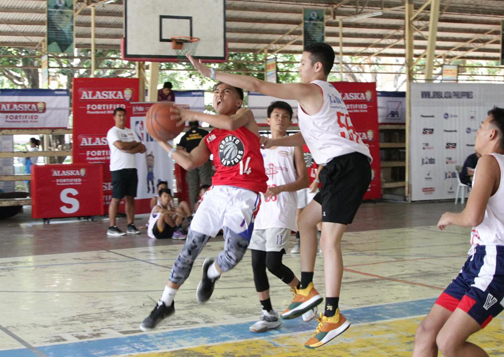 Young participants of Jr NBA participants in Dumaguete City give it their all during a tryout/selection process held to determine the representatives of the Visayas region for the National Training Camp to be held in Metro Manila on May 17-19. The Visayan contingent of Jr. NBA campers will join outstanding players from the Regional Selection Camps in Benguet, Butuan, Lucena, and Metro Manila, and a select group from the Alaska Power Camp at the National Training Camp and vie to be named as Jr. NBA Philippines All-Star. This year, Jr. NBA Philippines All-Stars—comprised of as many as five boys and five girls—will join the first Jr. NBA Global Championship Asia Pacific Selection Camp, a week-long camp in June that includes top youth players from the Asia-Pacific region excluding China.